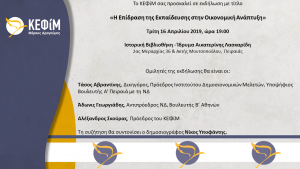 The Center for Liberal Studies – Markos Dragoumis (KEFiM) presented “Greece 2021 – Agenda for Freedom and Prosperity” reform proposals. The presentation took place on 11 & 12 April and was hosted at the Old Parliament Hall. Thursday, April 11 Friday, April 12 Photo gallery of the event. Download KEFiM’s reform proposals here. 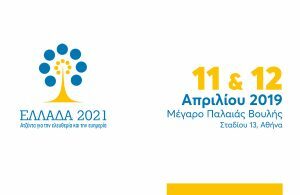 Less than a week is left for the first presentation of the Greece 2021 initiative – Agenda for Freedom and Prosperity. 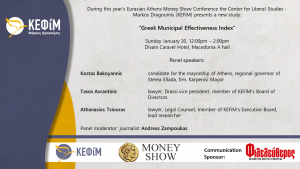 Register here: https://bit.ly/2YzCj54 Discover the program (in Greek) here.